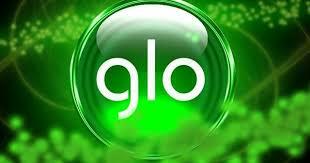 Enjoy Glo 2017 free browsing with UC mini handler and download unlimited files on your android device. It is better than using it on tweakware which always disconnects. This cheat had been existing for over a year now and we all must have rocked it before it stopped working very well. Fortunately the Glo uc mini handler free browsing is back and rolling like a rollercoaster, but as it always is with Glo, you need a very stable coverage to enjoy it at full speed. Leave other settings as they are and click the OK button. Now you can browse and download for free on any website without experiencing any disconnection. Note that you would have to use a proxy server website to be able to download from some websites, check out this long list of working proxy server sites and choose the one that works best for you. Also note that a proxy server may work well for a particular site but might not work with another so you have to try different servers till you find one that works with your favourite sites. Make sure you check back as i would soon be posting some proxy server websites that works the best for me, also make sure you checkout this new glo working free browsing settings - Happy Browsing!. Awesome, I will try it out Bro. Kudos to you! With test this one...awesome post. Much thanks for the feedback. Child lock is a security feature that allows you secure files or programs with codes to prevent children from having access to them.